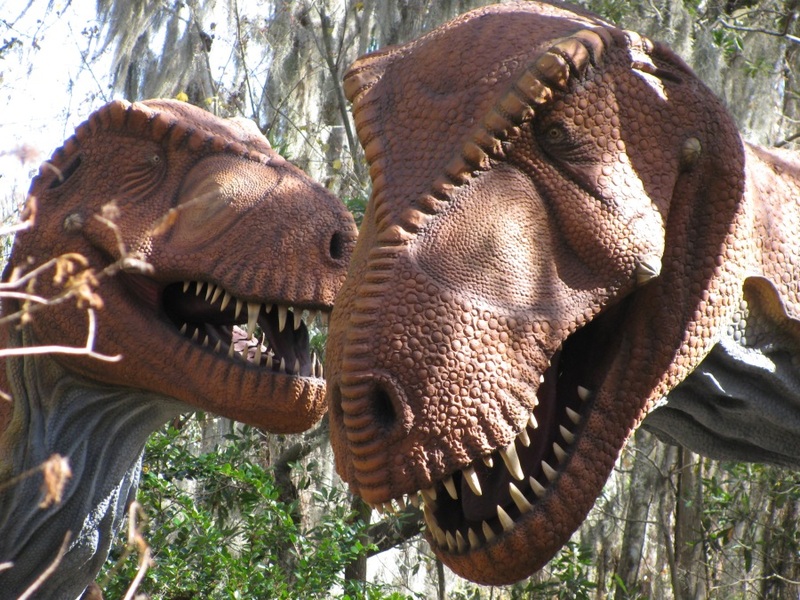 Dinosaur world is great fun for kids but parents will enjoy it too. 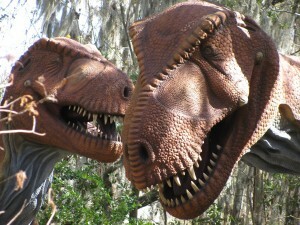 The dinosaur models are full size and placed amid Florida brush and tall palms, giving the park an authentic setting. Kids get very excited to see the life size dinosaurs. The park takes over an hour to walk around, with enough displays to satisfy even the most avid little dinosaur enthusiasts. Dinosaur World has great extra activities for kids. Young visitors love the fossil dig, where they get to take home real, fossils from the age of dinosaurs. Some of the dinosaur models can be touched, including the carnivore that where kids can peek out at the mom and dad photographer from inside the mouth. A shelter at mid park lets kids dust off a large replica of stegosaurus dinosaur bones. A few other treats can be found along the way. The gift shop is a kid paradise, with walls lined with dinosaur toys. Actual fossils are for sale for the grownups. The gift shop greets you on the way in but if you want to catch it on the way out, that’s OK too. 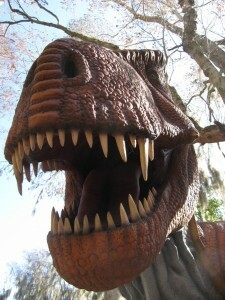 If you want to spend half a day entertaining the family, Dinosaur World is a great diversion. Be sure to take your camera to get shots of your kids alongside these behemoths from the past. Florida’s Dinosaur World is in Plant City which is within an hour of the cities of Tampa and Clearwater.